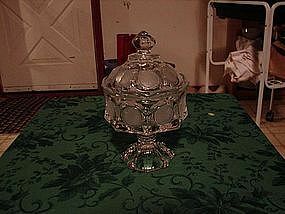 Fostoria clear coin glass wedding compote with lid. Circa pre-1985. 8" dia. Mint condition.